Exo is a contemporary geometric sans serif typeface that tries to convey a technological/futuristic feeling while keeping an elegant design. 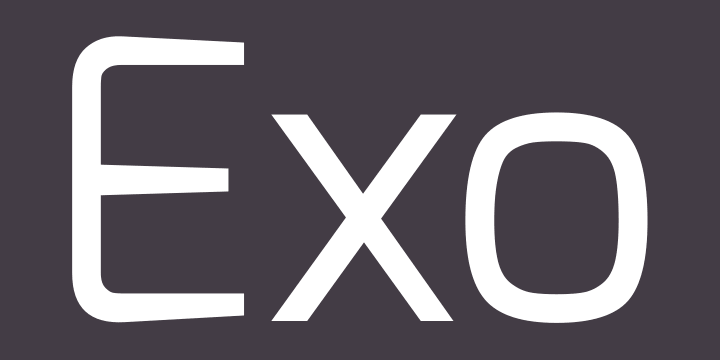 Exo was meant to be a very versatile font, so it has 9 weights (the maximum on the web) each with a true italic version. It works great as a display face but it also works good for small to intermediate size texts.